Patrick F. McManus, is seen in Spokane, Wash. McManus, a prolific writer best known for his humor columns in fishing and hunting magazines who also wrote mystery novels and one-man comedy plays, has died. He was 84. 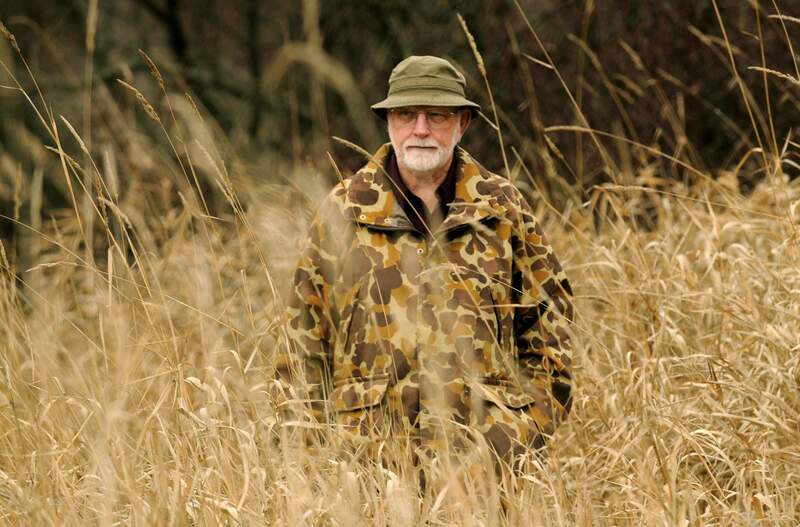 BOISE, Idaho – Patrick F. McManus, a prolific writer best known for his humor columns in fishing and hunting magazines who also wrote mystery novels and one-man comedy plays, has died. He was 84. McManus died Wednesday evening at a nursing facility in Spokane, Washington, where he had been in declining health, Tim Behrens, who performed the one-man plays, said Friday. McManus wrote monthly humor columns for more than three decades for the popular magazines Field & Stream and Outdoor Life, the columns later appearing in books. He also wrote other books, more than two dozen in all that included a guide for humor writers, and a series of mystery novels with a darker form of humor involving fictional Blight County, Idaho, and Sheriff Bo Tully. Altogether, he sold more than 5 million copies and appeared on the New York Times best-seller list. Many of his characters are drawn from real people from his childhood in Sandpoint, Idaho, said Bill Stimson, a journalism professor at Eastern Washington University and former writing student of McManus at the same school. The two became lifelong friends. The fictional Rancid Crabtree, for example, is a loner living in the woods who only cares about fishing and hunting and has no one telling him to go to school. Stimson said McManus told him that Crabtree is based on a real person that he found in the hills around Sandpoint as a child. While many of his characters involve country bumpkins, McManus himself loved reading. He said McManus quit teaching in 1983 to write fulltime. He had been writing traditional journalism pieces until on a fluke he wrote a humorous piece about satellites tracking wildlife, Stimson said, that a magazine immediately bought. Patrick Francis McManus was born in Sandpoint on Aug. 25, 1933. His father died when McManus was 6. Behrens said being poor during childhood was reflected in McManus’ writing. “The lack of any kind of extravagance led to the ability to create entire imaginary worlds out of his walks in the mountains,” he said. McManus, Stimson said, nearly flunked out of Washington State University but then got serious about writing, and remained so for the rest of his life, dedicating a certain part of each day to writing and telling his students to do the same. Behrens has performed the six one-man plays McManus wrote for more than two decades. He said McManus would attend the early plays and listen to the audience reaction, then make changes to the play until he was satisfied. McManus is survived by his wife, Darlene, four daughters, and multiple grandchildren. The family declined to be interviewed. A private service is tentatively planned for next week at St. Joseph’s Catholic Church in Sandpoint.